I'm wondering how good cattails and other inland marsh plants are at sequestering carbon dioxide. We've been having problems with Algae Blooms from the phosphorous runoff. 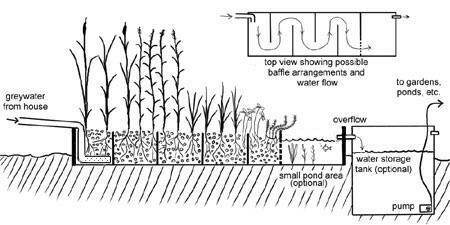 I don't know about carbon dioxide, but cattails are among the most effective biofilters. Hoping that those links are fruitful to other readers with control of more land. Though, I'll remember to check on them the next time I've got Janet Van Dyne taking Barnes out to one of her properties. I've just about got the herbaceous material of last year broken and hand rendered into mulch, and the wee dinos have been bouncing about looking for construction material and tasty tidbits. Don't worry, the brown eyed susans are mostly still up and there are other things the birds can perch on that can't be climbed. Yeah.. that figures. Metres deep thick black mud is going to be a pretty rich in carbon I guess. To some extent, the "drain the swamps" enthusiasm of a century or two ago was intended to reduce diseases such as malaria. This may be anoher case of damned if you do, and damned if you don't. I think it's a question of threading the needle. Questions of carrying capacity for a given chunk of land and how much technology/logistics you have to apply to increase it and at what cost. I have an aversion to the cuff dragging fashions, ultimately residual from anti-tuberculous 'training'. When I see poor planning in developing countries because of rich nations' rubrics, I'd like to take the powerful to some 'Western World' cemeteries. We've been here before, and forgetfulness dooms others to avoidable losses.